I’ve garnered a bit of a reputation over the years amongst family and friends as becoming rather frugal when it comes to shopping. Penny pinching and coupon clipping may get some laughs from my loved ones, but I take my hobby pretty seriously. I’m of the mind that if there are just a few little things I can do to save serious dough, why wouldn’t I do it? I’m a born schlepper. I’ve done plenty of 15 hour flights in economy to Asia, falling asleep on my own kneecaps with no skin off my back. I love public transport and I’m not afraid of a little sweat. This goes hand-in-hand with my frugal attitude, but I’ve learned that you don’t have to be willing to haul your own behind around to save some money here and there. You may think you save enough dough by ordering your entire life on Amazon Prime, but the tips I’m about to reveal to you go beyond that, and have saved me hundreds of dollars over the years. Give me just 10 mintues of your time and I’ll save you some money, too, guaranteed. We all know how expensive prescription drugs can be in this country, whether you’ve got insurance or not. I personally am not on any prescribed drugs, but I did just recently get prescribed a retinol cream from my dermatologist. Even after insurance, the cream came out to a whopping $330. Even though the cream lasts for 6 months I thought, there has to be a way I can lower the cost. A quick google search of ‘pharmacy coupons’ pulled up dozens of websites offering steep discounts. I simply clicked one, this one is called Single care, and this came up. 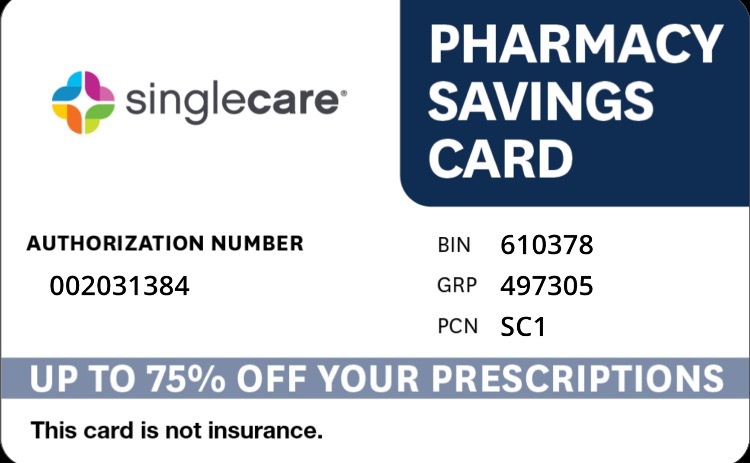 I didn’t get the 75% promised, but the price dropped $175, down to $160 when I simply handed the pharmacist my phone with the photo of the card. Now if that isn’t cool, then I really don’t know what is!!! This is another online coupon search and it’s well worth it. It started when I was buying the bridesmaids dress for my sisters wedding. (don’t worry she was not offended I got the dress for a discount, but rather pleased!) I typed in the name of the dress company and followed it with ‘coupon’. Sites like retail me not and groupon have so many coupons just waiting for use, so I clicked a groupon link and it directed me straight to a code. Upon checking out, I typed in the code, got free shipping and a 10% discount. This may sound scary to some people, but if you’re good with your spending and with paying your bill on time, then this is an incredible hack that will also boost your credit score and card limit! Both of my credit cards offer awesome perks like airline miles and cash back so by putting all of my spending on my cards, I make money off of the money I spend! Sweet! I always get at least two domestic flights per year thanks to my credit card spending. Regardless of which city you live in, there are cheaper ways to get to and from the airport than cabs. Do a quick google search and you can find cheap buses or even public transport that will get you there. I love to take the bus to lga in nyc if I have enough time ($2.75!). I do NOT recommend an Uber pool if you’re on the way to the airport. I have missed a flight this way and had to spend more money to rebook, something I HATE! The best transport hack I’ve found yet is in getting to Newark airport. This trip is usually $50-$70 from Manhattan via taxi, so you can imagine how pleased I was to discover that trains from Penn Station get you there in 20 minutes, guaranteed, for only $11! Plus, you never have to worry about getting there on time because a train runs literally every few minutes. I love to resell things I don’t need on cool apps. Poshmark is the best site for gently used clothes. A friend of mine does the selling for me because you need to be active constantly to get your ‘store’ a lot of views, something she spend a lot of time doing, but I give her 10% and she does all of the leg work. I’ve even sold creams and and excess, never used beauty products that don’t fit in my nyc sized bathroom. For local things, I sell on Offer Up. I’ve gotten rid of furniture and electronics I no longer use by simply posting on this site and meeting up with others in my neighborhood to make the trade. Finally, of the same vein, if you’re cleaning out your electronics, you can absolutely resell them instead of dumping them in the trash (plus you will be reducing your waste)! Best Buy has a trade-in catalog that will let you know if they can accept the condition of your item and how much money you can expect to get back. I know this isn’t a hack you can use all of the time, but if you’re one to invest in the latest technology and find a few useless goods sitting around, then this information can be helpful! These are my favorite hacks so far, but because I’m always searching for more, expect a follow up post to come soon!